Sitting amongst a circle of pines while enjoying the company of some dear ones, I took in the rugged and massive tree trunks encompassing our table. Patches of diffused light flickered across the tabletop. Faces of endearment looked back at me as we engaged in conversation over pasta and wine. It was a moment of complete contentment, nestled among the beauty of nature and loved ones. Towering above was this stunning view of majestic spears piercing the sky. I couldn’t see the tops but understood that their reach was forming a canopy of comfortable shade. Indeed, it was a spectacular view, a perspective of grandeur that I rarely experience. Each view, the eye level and the one looking up, held something of value to the overall experience. I couldn’t say that one view was better than the other and doing so would quickly diminish the perspective of wholeness. This moment came back to me this week as I reflected on perspective. Specifically, I was thinking about perspective in the context of comparing experiences as way of minimizing our own. My heart always sinks a bit when I hear people diminish what they are going through by saying things like, “Oh, my struggle/pain/issue is nothing compared to so and so. They have it much worse.” I feel equally disheartened when I witness someone minimizing joy because of another’s struggle; that somehow it isn’t okay to feel joy if someone else is deep in sorrow. While I understand the sentiment and have certainly engaged in both dialogues, I am learning how damaging this comparison and narrative can be to our inner lives. I was considering why this particular perspective triggers me so, why I would need to write about the hazards of comparing and minimizing our emotional lives. I can tell you that it comes from a lifetime of reducing and ignoring my own experience because I perceived someone else’s to be more important, more valid, worse off than mine. I can tell you how decades of minimizing and editing my experience began to muffle my sense of compassion and dim the light on my soul. How it left me feeling vacant and apathetic. I can tell you how waking up to my life, allowing myself to experience a total range of emotions and to acknowledge whatever is alive for me, has deepened my sense of empathy and expanded my view of connected living. I can tell you how holding space for my own tender moments AND the tenderness of another’s experience has led me to realize comparison has no place in our emotional lives. There will always be degrees of struggle and joy within our human experience. I am learning how paradox provides rich layers of awareness and meaning. I believe that when we compare our experiences and minimize one over the other, we delete a part of ourselves. In doing so, we shut down the part of us that allows us to cultivate compassion, empathy and gratitude. If we make it a habit of ignoring or belittling our experience, or placing judgment on the value of that experience, we miss out on the very experiences that help us connect with the world in an openhearted way. I believe it is possible to honor our own experience and the experience of another soul without comparing and without deletion. Ultimately, we all come home to ourselves- to our struggles and joys and the empathy that cultivates Perspective can emerge through holding space for our collective experiences and with the tenderness of an open heart. 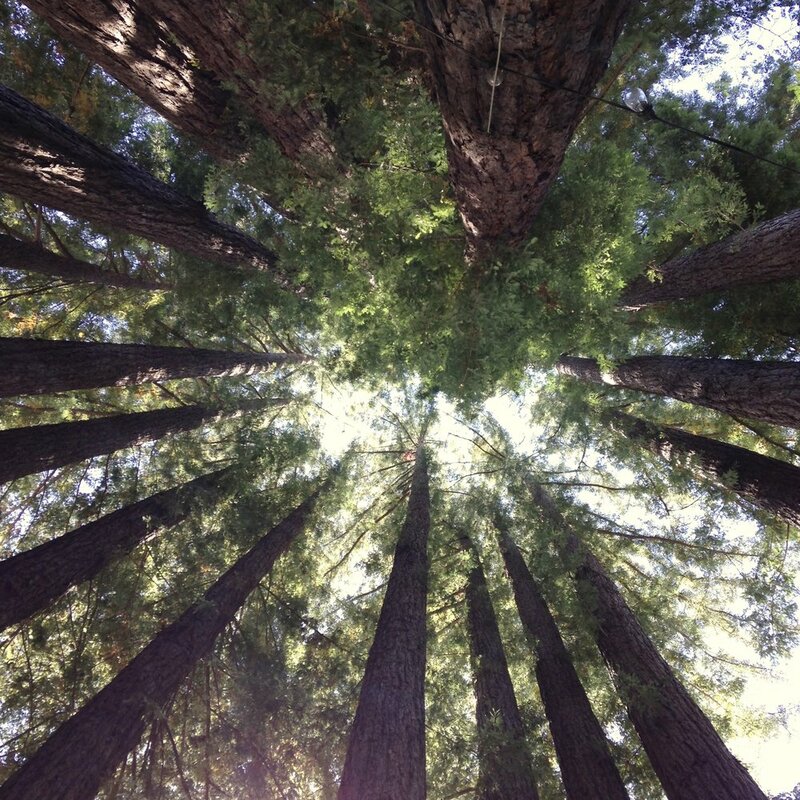 We can sit amidst a circle of pines and take in more than one view, knowing each view has its purpose and contributes to our sense of connection and wholeness. We can trust that the narrative of our hearts does not need editing. Each perspective has a place in our collective aliveness.